Some time ago, I wrote about Freemius when the product was first introduced into the WordPress economy. 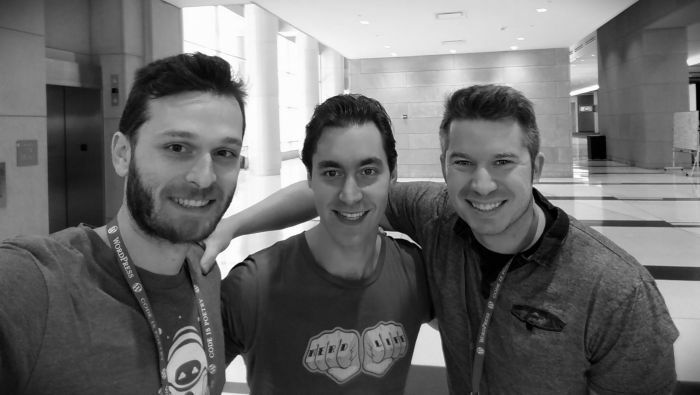 Since then, I’ve had the pleasure of talking with Vova Feldman – the CEO of Freemius – and even crossing paths with him at WordCamp US. Since my initial post, Freemius has released a couple of products and just released a new product (for which WP Tavern has some coverage about it already). Given my respect for them, and what they are doing in the WordPress economy for both plugin authors and theme developers, I wanted to share some in-depth information regarding their latest work project. 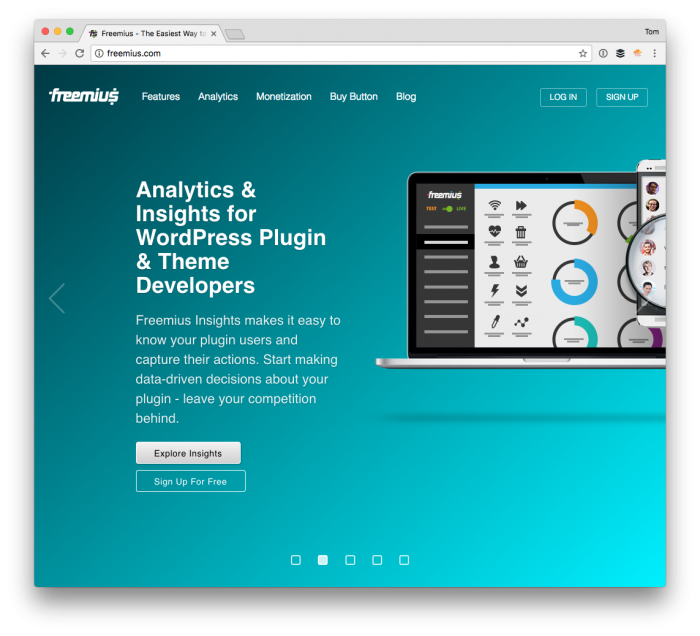 Thanks to some information and exchange with Vova, I’m happy to share some, ahem, insights on their latest product: Freemius Insights for WordPress Themes. 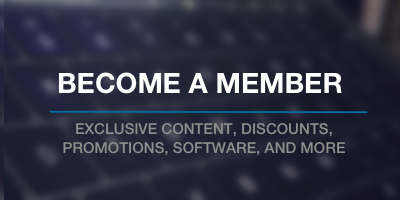 For those who aren’t familiar, Freemius is the startup behind the WordPress monetization platform that empowers WordPress plugin and theme developers to easily sell their products from anywhere while handling licensing, secure payments, software updates, and recurring payments. Additionally, the product includes an analytics and usage tracking solution for all of its users, called Freemius Insights. Up until now, Insights was only available for WordPress plugins to use, but Vova contacted me recently to share that Freemius Insights now offers full support for WordPress themes (hence Insights for WordPress Themes). Usage-tracking in WordPress products is the future. In the same way that every website runs Google Analytics, in five years every plugin and theme will have to run analytics. If no one will step in, it’s going to be a wild-wild west. We want to standardize usage-tracking for WordPress products and become a trusted data solution in the community. So assuming there is a large enough adoption and interest in the adoption, this raises the question: Will theme authors change the way the think and act about their product? Freemius Insights is part of an open-sourced WordPress SDK, which can be integrated into your WordPress plugin or theme in two minutes. Once Insights for WordPress Themes is integrated successfully, you immediately get exposed to a brave new world of data which we, as WordPress developers, are not historically used to seeing. We already see more and more developers (mainly plugin devs) implement their own tracking solutions. Many of those are misleading the users with vague messaging, not being fully transparent with the users regarding the type of data that is being captured, and many times stored on a WordPress based infrastructure – which unfortunately could be very insecure. But this leads one to ask: Given the recent news around the theme review team with WordPress.org, does Freemius play well with the rules, regulations, and so on so that those involved in the repository can maintain their products? More specifically, Vova said they worked with core people from the WordPress.org theme review team to make sure the work complies with the official WordPress.org guidelines and the user experience requirements. By working closely with the people that are responsible for the review process, we are making sure everything is done “by the book”. Starting with the opt-in messaging, being transparent about the permissions, as well as the technical and user experience requirements. 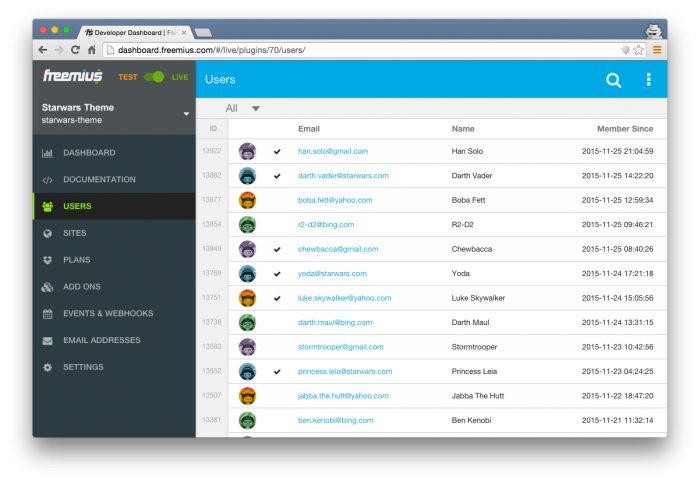 We want to make the theme reviewers’ work easier, saving them time checking the usage tracking component. In addition, we want site admins to feel comfortable sharing data with the product developers by knowing exactly what data is being captured and that it’s safe and secure. So how does this work? 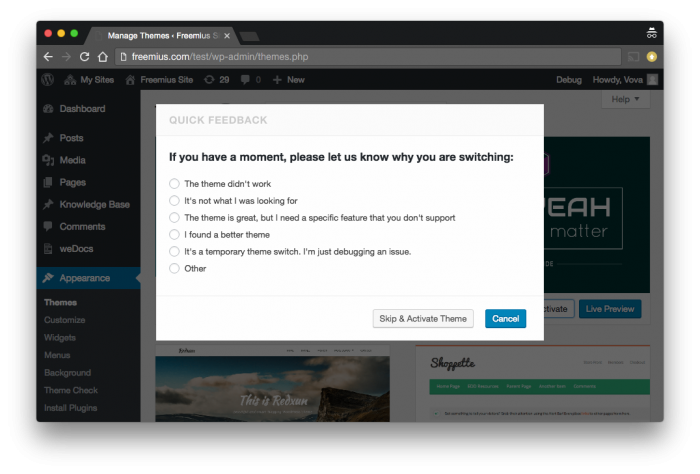 That is, what can users expect once theme developers have integrated Insights for WordPress Themes into their theme? It’s important to note that, most distributed software ecosystems and markets, as well as most product sellers, have realized the importance of having data and some way of communicating with users in a direct manner. And that’s why people are used to opting-in – or at least feel better when opting-in (rather than having to opt-out – and providing permissions before starting to use a product. Here’s something I found to be a unique piece of information, though: Based on data from more than a million websites, Freemius reports that over 50% of new users who install a product choose to opt-in and share the data with the product owner. 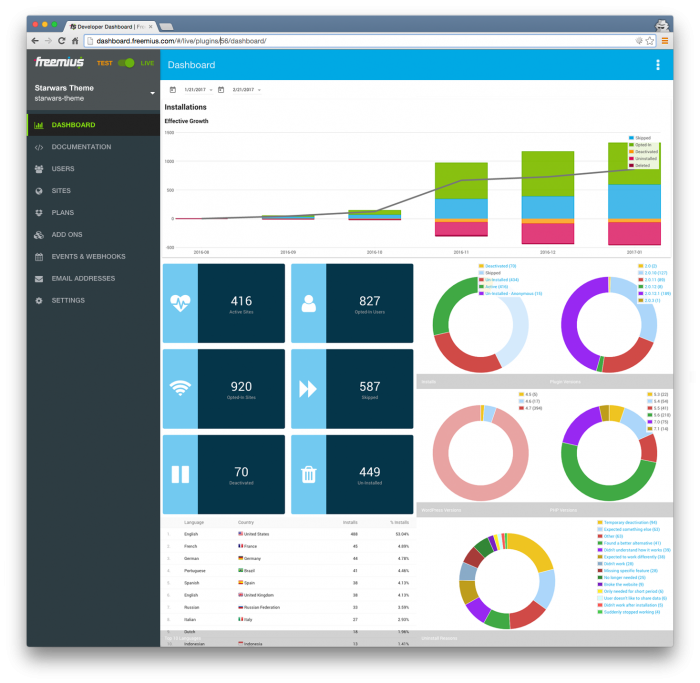 Once a user opts-in for the data capture, they immediately start seeing their information logged and nicely filtered on the Freemius dashboard. You can see data like users growth, theme versions distribution, top 10 countries and languages using your theme, and more. Today, developers release theme updates are often based on a gut feeling or user feedback. And, unfortunately, many times these are angry users (as ratings in the repository can attest). Not always, but often enough. But there’s no way for them to track if those product iterations are working or not. Maybe the new feature that you’ve just released is confusing the users and increasing the uninstallation rate, maybe not. The chart of monthly user growth is a powerful indicator when it comes to letting theme developers measure whether changes improve the product and, if so, just how useful are said changes? Tracking custom events is possible on their business level plan if you need it. These events are automatically logged and can be consumed by custom webhooks, which opens a door for some seriously neat things as it relates to marketing for your theme. 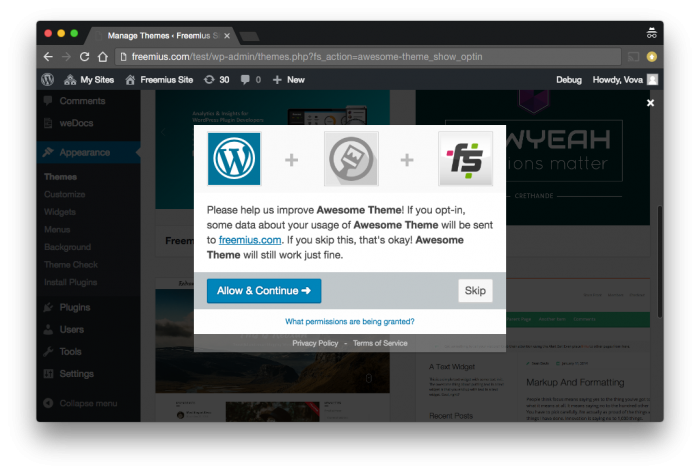 For example, you could automatically have a Welcome email sent to each user who activates your theme and chooses to opt-in to use the product. Then you may add them to an email drip campaign you’ve set up on MailChimp, to increase your upsells rates. Based on the data Vova shared, roughly 8 out of 10 users who uninstall your WordPress theme, for some reason, will be more than willing to tell you all about why they chose to do so, and offer valuable advice on what could be done better at least as far as their opinion is concerned. Any unhappy/frustrated user who decides to uninstall might end up writing a bad review on your theme somewhere online. This feedback form neutralizes that need because it allows them to vent their frustration, leaving them feeling that their opinion matters. As you can see above, the Freemius Feedback Form includes options to choose from for the user, allowing Freemius to collect and categorize your users’ feedback for you automatically. This data is invaluable and can help you fix the “weak links” in your theme and reduce your abandon rate. As those who have followed this blog or Pressware, you know that I don’t do a lot of work in the theme area of WordPress. It’s not to say I don’t follow it nor that I don’t deliver them for clients, but I tend to focus on plugins and custom solutions in that part of the WordPress market. But there was once a time where I did work in the theme economy of WordPress and having something like Freemius would’ve been really interesting especially with each iteration on the project. So, are theme authors headed towards a new era, where they no longer have to beg for whatever data marketplaces or WordPress.org are willing to provide them about their theme users? Perhaps. It will undoubtedly take massive adoption of something such as Freemius Insights to begin working with that information. I think that it’s an uphill battle, but given the success and devotion Freemius has had in this product space for some time, I can’t help but wait to see how this pans out for those who are working in the WordPress theme space. Freemius has been doing some stellar work on analytics for WordPress Developers so I've been more than happy to share this conversation and set of information around their latest product.